I’m going abroad next semester, and I’m excited--but also extremely anxious. I’m a worrier by nature, and the idea of being in a foreign country and being a non-native speaker of the language is really freaking me out. I’m already worried about misplacing important documents, like my passport or my visa. I’m worried about staying safe, and I’m worried about the paperwork I’ll need to visit nearby countries (and get back safely and on schedule, so I don’t mess up my academics while I’m over there!). I want to relax and enjoy my time abroad, but I’m not sure it’s in my nature. Any advice? It’s easy to get stressed when you’re preparing to go to an unfamiliar place. Studies show that the planning stage is the most stressful part, so it’s natural that you’re a little worried right now. But it’s not necessarily a good thing to worry so much, and it certainly seems like you’re getting a rather early start! You should know that most of your fears can be answered with sound advice and a little planning. A lost passport is stressful, experts say, but it’s not the end of the world--you’re not going to be stuck in a foreign country forever just because you lost a little booklet! What you’ll need to do, government experts say, is head to the U.S. embassy or consulate as soon as you realize that your passport has been lost or stolen. As for planning to visit other countries, you’ll just want to do a bit of research ahead of time. You may or may not need visas for other countries--in many cases, a passport will be all you’ll need for a short-term visit. Check online to see which countries require what, and record the relevant information (and apply for the relevant documents) long before your trip. Staying safe abroad involves a lot of the same common-sense steps that you’d take here at home, plus a few basic rules of thumb. It’s wise to do some research ahead of time and find out what sorts of dangers might be unique to the region you’re visiting. Stick with a buddy when you can, and don’t wander around alone at night. Know your neighborhoods: everywhere in the world has its good and bad spots, and a little research can go a long way toward keeping you safe. And make sure that you have a way to contact the authorities in the event of an emergency. Finally, watch your own behavior: nearly 50% of all students who study abroad say that they drank more alcohol when they were there. That’s not a great strategy for safety in an unfamiliar land. If all of this prep isn’t enough, perhaps the problem is in your head! Anxiety is a common problem, and it’s one you should treat. Past a certain point, worry serves no purpose, and it can drag us down by ruining our fun and making us less functional. If preparing for your trip doesn’t ease your mind, you may want to speak to a therapist. Chat with your doctor or visit the resources available at your school to learn more about your options. 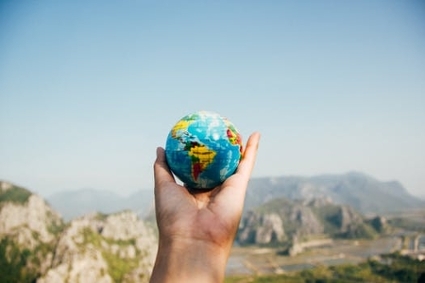 Here’s one bit of good news: studies show that travel reduces stress, so your plans to go abroad may be good for your emotional well-being in the long run!